John Howard's 'The Floor of Heaven' celebrates the byways of London and echoes Machen's delight in wandering its obscurer streets and squares, with a mystery redolent of his story 'N'. 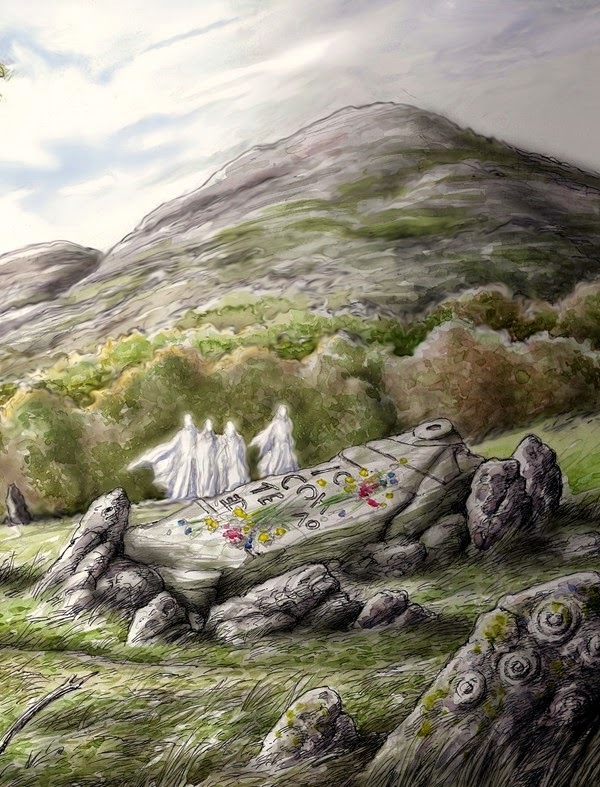 Mark Valentine's 'Except Seven' takes place in Herefordshire, in the Welsh/English border country, and draws on Machen's interest in the Grail and Celtic mysteries. Ron Weighell's 'The Chapel of Infernal Devotion' is inspired by Machen's interest in magic and hermeticism, and his insight into the survivals of pagan worship. Each author also provides an afterword reflecting on their interest in Machen. The full colour dust jacket art and B&W signature page art is by Paul Lowe. There is a tipped-in signature page on fine parchment paper signed by all three authors. The book is available from Sarob Press. There are about a dozen copies of the edition of 300 left. I just read my recently received copy and was delighted and entertained in one sitting of reading it cover to cover. Each story captures a different style, borrowing skillfully from Machen without feeling like impersonation. I was most enthralled by each author's afterword, during which he describes his first exposure to Machen's work and numerous fascinating tangents such exposure creates. It is one of the rare books that benefit the reader by dipping into it more than once, as I am sure I will from time to time. The writing is so diverse and of remarkable quality. As an object, the book is a handsome production and takes pride of place on any shelf of Machen's original books.